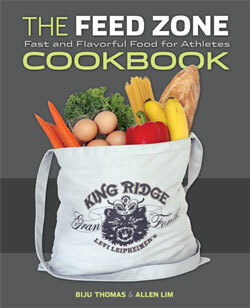 See The Feed Zone Cookbook in Action at the Tour of California! 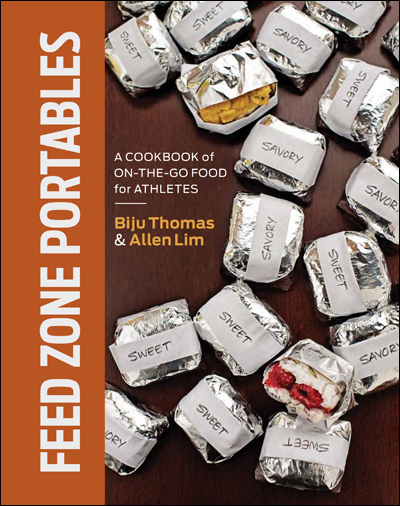 The Feed Zone Cookbook authors Dr. Allen Lim and Biju Thomas have taken their Skratch Labs Mobile Kitchen to the Amgen Tour of California to cook for Levi Leipheimer and the Omega Pharma-Quick Step pro cycling team. Throughout the race, Allen and Biju will cook breakfast, lunch, dinner, during ride portable snacks, and post-ride recovery meals for the team and staff. VeloNews.com is presenting The Feed Zone Service Course, the team’s daily race menu, provided by Dr. Allen Lim, chef Biju Thomas and Skratch Labs. And we’ve got several more new recipes to come! We hope you try these and then try out The Feed Zone Cookbook, which has 160 athlete-friendly recipes.